Services provided: Visual identity, engagement campaign, campaign concept, media scheduling, content design, photoshoot art direction, campaign management. 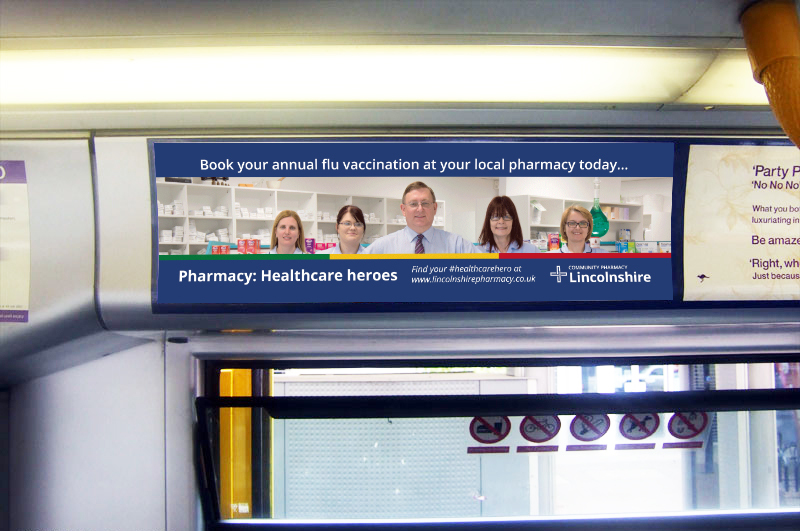 Lincolnshire Pharmaceutical Committee approached DOSE to deliver a two phase marketing campaign. The aim was to engage contractors and the public. 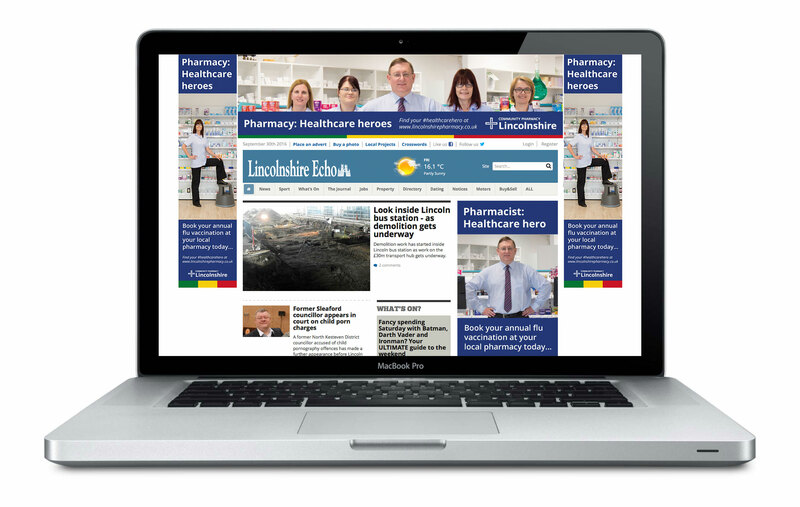 We developed a new visual identity to mark the change in name to Community Pharmacy Lincolnshire and designed a range of materials to communicate that change with stakeholders. 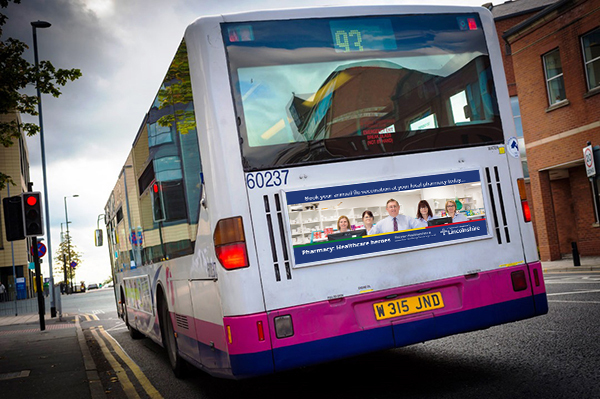 We developed a two phase campaign to increase contractor engagement with the LPC and to increase public engagement with the pharmacy network. DOSE developed a campaign concept communicating the heroic nature of community pharmacists and their teams. We aimed to highlight the unsung work they do on a daily basis around the UK. ‘Healthcare heroes’ captured the message that the LPC wanted to share and a photoshoot was arranged and directed by DOSE. The pharmacy team involved did a fantastic job on the day. 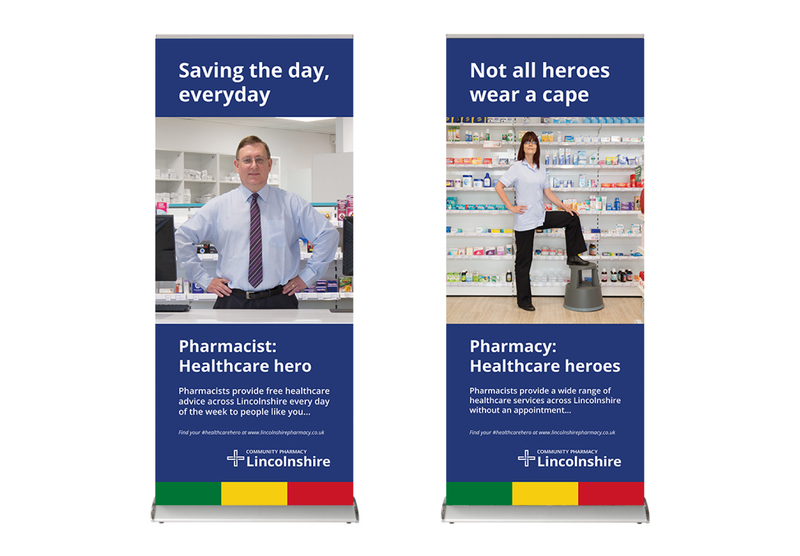 The new Community Pharmacy Lincolnshire visual identity was adapted to deliver the campaign messages while making sure that it was clear that the pharmacists and their teams were the heroes.